One of the pioneers of photorealism in Turkey, Nur Koçak was born in Istanbul in 1941. After studying under the painter Turgut Zaim, she continued her studies in the United States. 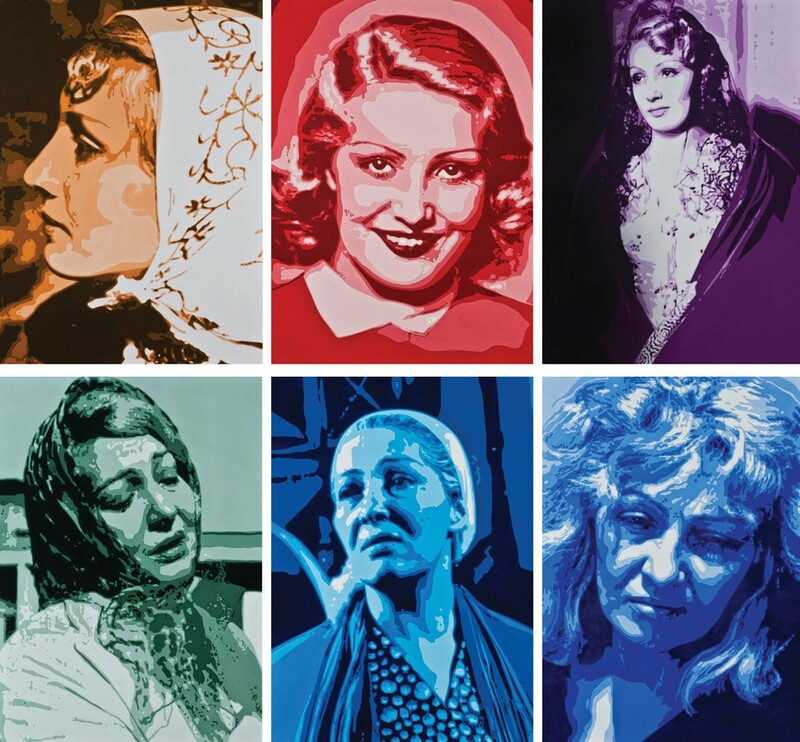 Returning to Turkey in 1960, she worked with such artists as Cemal Tollu, Neşet Günal, and Adnan Çoker. Since 1970 she has worked in Paris. Begun whilst in Paris, her series "Fetish Objects/Object Females" is from a period in which Nur Koçak criticized consumerist society's attitude toward the female body and sexuality. Her works from this period frequently show objects used to ornament the female body, like perfume, nail polish, lipstick, lace, and underwear. Later, Koçakmoved away from compositions originating in the female body toward works that highlight social and family values. Over time, her figures gain subjective and geographical qualities. Exhibited here, the series "Cahide’s Story", made between 1996-2003, exemplifies this approach. The series takes as its starting point the biography of Turkey’s first “star”, Cahide Sonku, who produced important works in cinema and theatrein the 1930s. Sonku’s portraits are divided into two groups called “before” and “after”. In the “before” group we are presented with a Sonku who is smiling contently and confident in her beauty, while in the “after” group, we see a tired, anxious, and fatigued woman. The stock image of the woman as an object of consumption in the visual culture can, as time passes, be reduced and simplified. Cahide Sonku was a pioneering woman who secured for herself a unique position and a rare lifestyle; in Koçak's work she becomes a prototype for the ideas that the artist engages with.